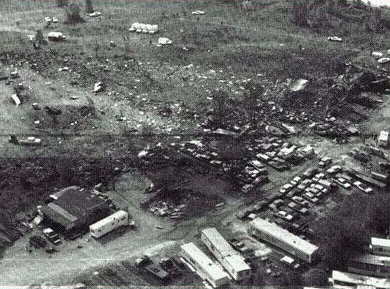 At just after 3 p.m. on May 25, 1979, an American Airlines DC-10 crashed shortly after takeoff killing all 271 on board and two on the ground. 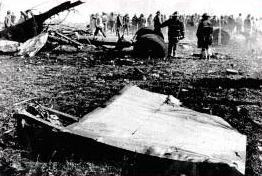 The left engine fell off Flight 191 on takeoff severing critical control lines and a section of the left wing making a successful return to the airport nearly impossible. The aircraft rolled over on its back before crashing into an open field just short of a trailer park about 4,600 feet northwest of the departure end of runway 32R at Chicago-O'Hare International Airport, Illinois. It was later determined American and Continental Airlines were not following the McDonnell Douglas (MD) procedures for removing engine pylons for maintenance (nor were they required to). MD's instructions involved removing the 13,500 pound engines from the pylons (which hold the engines on the wing) and then removing the nearly 2,000 pound pylons. Clever American Airlines (AA) mechanics in Tulsa had figured out how to do it by removing the engines and pylons all at once using a forklift! This nonstandard procedure saved approximately 200 man hours but often damaged the pylons which hold the engine in place. McDonnell Douglas had sent out an advisory to its customers prior to this accident recommending against this procedure, but they lacked authority to require the airlines to comply. To ensure no further tragedies, the FAA grounded all DC-10s. Some said this was an overreaction, but during the ensuing inspections, at least six more DC-10s were found to have similar damage (four were American Airlines and the other two belonged to Continental). 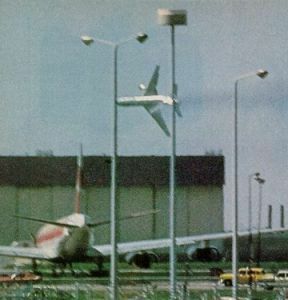 It was also revealed that two further Continental (which had also adopted the AA procedure) DC-10s had been damaged before the Chicago accident, but the mechanics noticed the problems and repaired them. Investigators found that as the jet was carrying out the takeoff rotation, engine number one separated and flipped over the top of the wing. As the engine separated from the aircraft, it damaged the left wing resulting in a retraction of the slats. The left wing aerodynamically stalled while the right continued to produce lift. 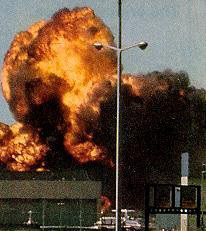 The jet subsequently rolled to the left, reaching a bank angle of 112 degrees (partially inverted), before impacting with an open field near a trailer park shortly after the end of the runway.